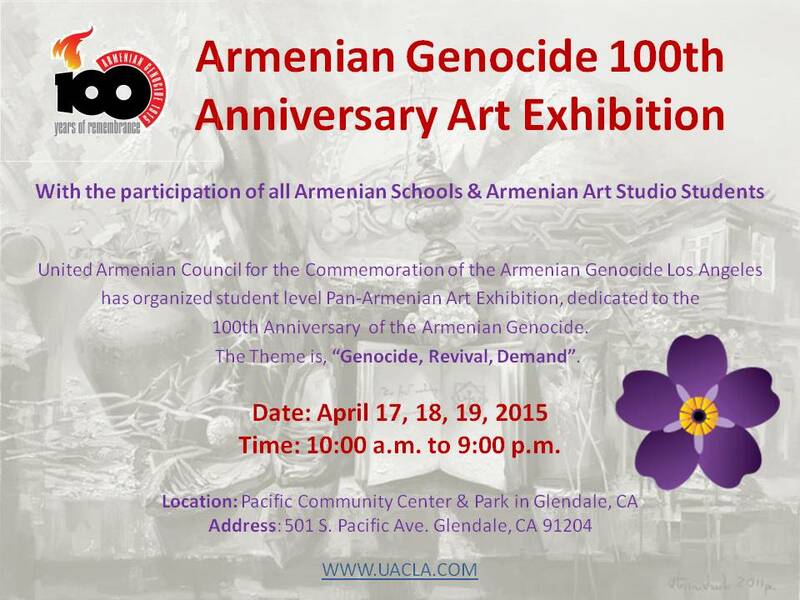 United Armenian Council for the Commemoration of the Armenian Genocide Los Angeles has organized student level Pan-Armenian art exhibition, dedicated to the 100th anniversary of the Armenian Genocide. The Theme is, “Genocide, Revival, Demand”. Time: 10:00 a.m. to 9:00 p.m.